Looking for a dentist in Grande Prairie? We're always accepting new patients! 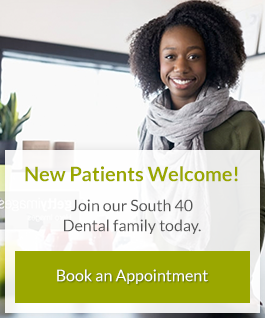 Book your next appointment at our Grande Prairie dentist office today! Our team at South 40 Dental in Grande Prairie are standing by to assist. Referring a patient in the Grande Prairie area? We welcome all patient referrals. Complete the form below and someone will get back you! Emergency after-hours appointments available. Please contact our office. Note: Private health information should not be sent in this form. Please enter your information and we’ll contact you directly.